The Canal des Deux Mers in South Gironde has linked the Mediterranean Sea to the Atlantic Ocean since the 19th century! 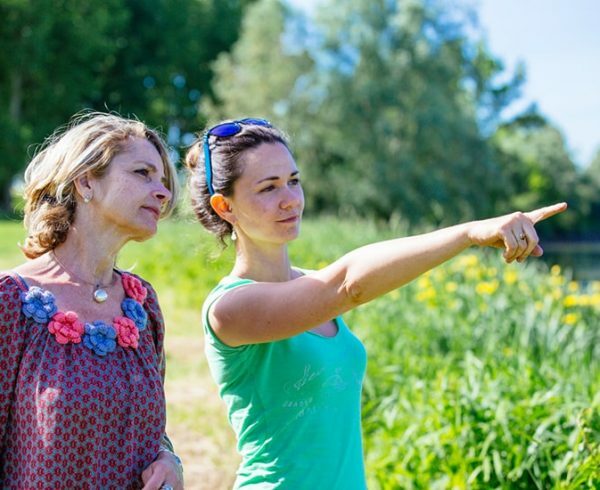 On foot, by bicycle or by barge, wander along the Canal du Midi (from Toulouse to Sète) or the Canal de la Garonne (from Toulouse to Castets et Castillon). In 1856 Jean-Baptiste-de-Baudre fulfilled the wish of Pierre-Paul-Riquet to continue building the Canal du Midi. This enabled merchant vessels to reach the Atlantic Ocean safely by avoiding certain parts of the Garonne which were turbulent and dangerous. All along the canal, you can admire the 83 bridges, 7 water bridges and 53 small locks which add to the charm of the site. 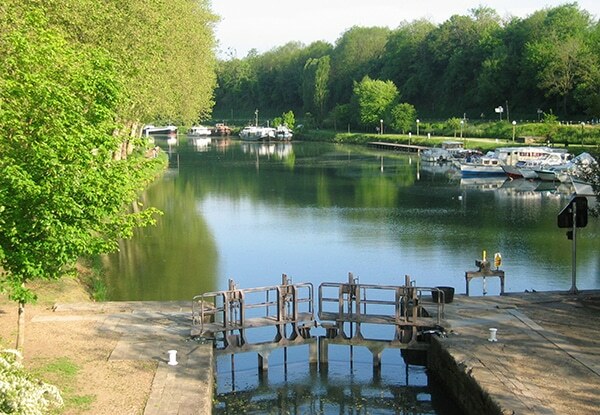 When passing through South Gironde, explore Castets et Castillon, also known as the town of three locks... 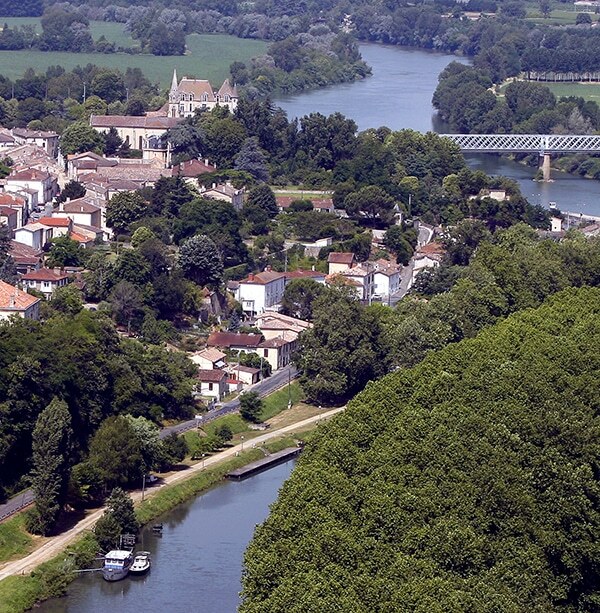 The canal flows into the Garonne in this charming Gironde village. Take the time to walk along the Canal des Deux Mers on the former canal towpath. Cyclists and walkers share this charming natural environment, home to numerous animals including otters, which you might spot on the canal banks! If you are interested in local heritage, the cycle path which links Castets et Castillon to Fontet is well worth exploring. 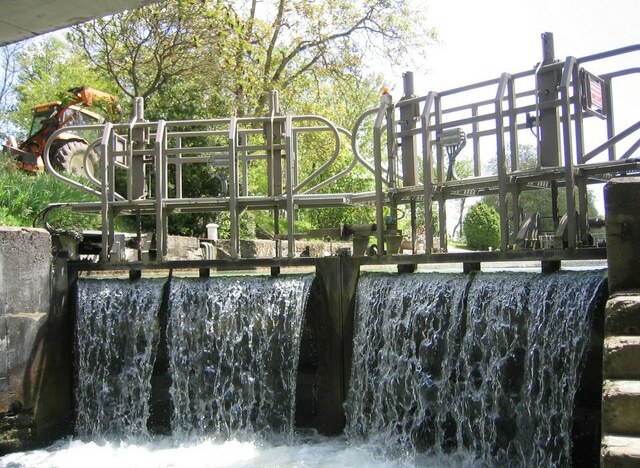 There are magnificent views of the Château du Hamel, small bridges and locks along the way. In Fontet, stop and relax at the mooring spot before heading on towards Castets et Castillon. Take a well-earned break at L’Ecluse 52 restaurant, opposite the canal marina. The round trip is 20 km long. From Castets et Castillon, an 8km cycle path will take you to Langon in South Gironde. Along the route, 10 educational displays explain the surrounding heritage and landscapes. Although this is mainly a pedestrian itinerary, it is open to motor vehicles, so do take care. Head for the Castets et Castillon marina to see the barges moored at the quays. Admire the different boats with their unusual names. After a short stroll, take a seat at the waterside café-restaurant, with its charming view of the Canal des Deux Mers. In July and August, don’t miss the night-time market along the canal port of Castets et Castillon (information at the tourist office). The perfect opportunity to do some shopping and come away with a souvenir. The Château du Hamel, an architectural combination of two historical periods, the Middle Ages and Renaissance, proudly overlooks the Garonne! From the castle library, enjoy the magnificent view of the Canal des Deux Mers flowing into the Garonne, and the Eiffel bridge: a must! Book in advance to visit the castle!